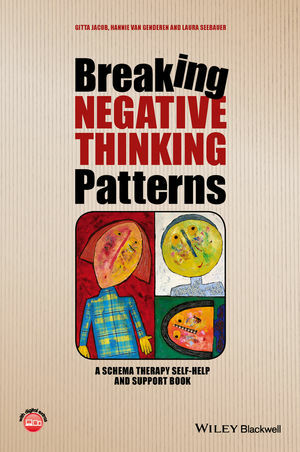 Breaking Negative Thinking Patterns is the first schema-mode focused resource guide aimed at schema therapy patients and self-help readers seeking to understand and overcome negative patterns of thinking and behaviour. Gitta Jacob is a Clinical Psychologist and Schema Therapist at GAIA, a therapy development and research company in Hamburg, Germany. A founding board member of the International Society for Schema Therapy (ISST), Dr. Jacob is also co-author of Schema Therapy in Practice: An Introductory Guide to the Schema Mode Approach (2012). Hannie van Genderen is a Clinical Psychologist, Supervisor of the Dutch Association for Behavioural and Cognitive Therapy, and Chair of the Dutch Schema Therapy Association. She is also a Psychotherapist at the Maastricht Community Mental Health Centre and co-author of Schema Therapy for Borderline Personality Disorder (2009). Laura Seebauer is a Psychologist, Psychotherapist and Schema Therapist in the Department of Clinical Psychology and Psychotherapy, University Medical Centre, University of Freiburg, Germany.